Laxmipur, Dec 5 (Just News): A court granted bail to a former acting civil surgeon of Laxmipur, who was sentenced to three months in prison following a brawl between him and the district's additional deputy commissioner (general), upon Tk 5,000 bond here on Tuesday. 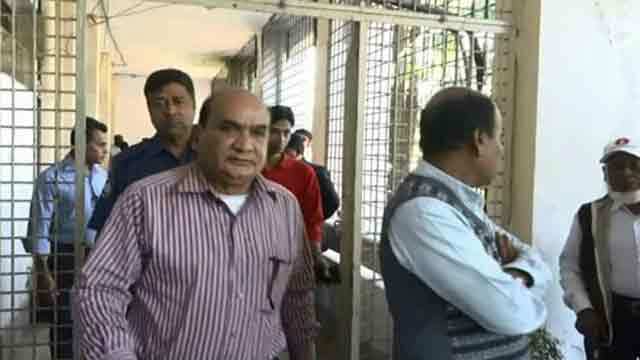 Mir Shawkat Ali, additional district magistrate, passed the order after Rasel Mahmud Manna, lawyer of doctor Salahuddin Sharif, filed bail petition in his court in the morning. Meanwhile, protesting the verdict of the mobile court, doctors and medical technologists of Sadar Hospital are observing work abstain from the morning. They will continue their programme until withdrawn of the case, canceling the punishment, said physician Ashfakur Rahman Mamun, district unit president of Bangladesh Medical Association (BMA). The protesting doctors and medical staffs took position at the office of deputy commission in the morning suspending medical activities. Earlier on Monday, a mobile court conducted by Laxmipur Sadar Executive Magistrate Nuruzzaman at deputy commissioner's office sentenced Salahuddin over a brawl with the district's additional deputy commissioner (general) Murshidul Islam when they went at Kakoli Kindergarten School in the town to pick up their grandson and son. Later, police sent Salahuddin to jail.